My goodness I’m dizzy from all your bakes! Wow, they all look fantastic and delicious. I will have to venture to try a couple of them. Actually, I’m exhausted just reading it! NIce baking! Sorry about that! And thanks for the kind words. Your SF bakes are fab! Carole and you are asking me whether I am sleeping with sooooo many bakes? 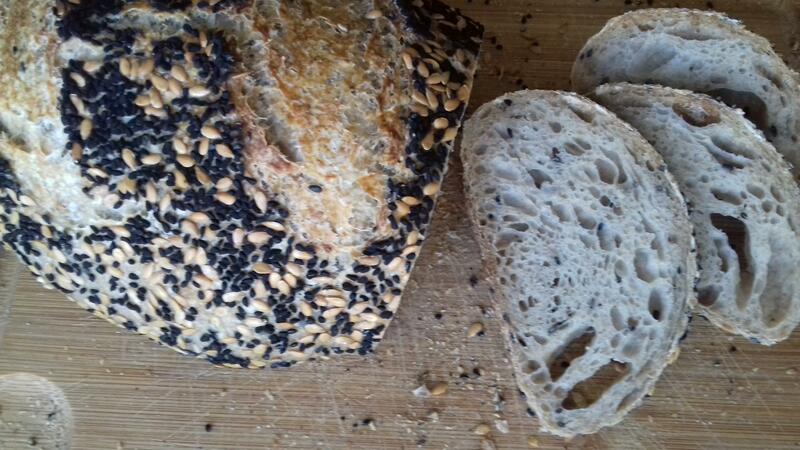 I love the loaves that are coated with all those yummy seeds and you have a consistently beautiful crumb! You have my respect for going into rye territory and looks totally amazing. These were baked over the course of about three weeks, so I'm definitely not losing sleep over bread 😄! I'm just bad at taking notes, and thought the blog would help me keep my bakes straight and remind me of what worked and what didn't. Hmmm. You've inspired me to maybe try a Champlain loaf. Do you do the pre-mix as Trevor indicates, or do you leave the pre-mix in the fridge overnight? 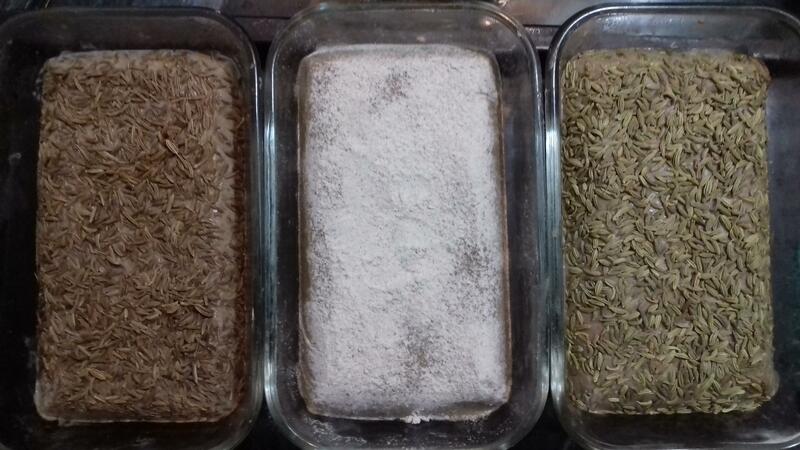 and I think it is a nice way to document one's baking journey. I can see it with many bakers going through posts here or on IG and you can see their baking journey. Thanks for all the tips, Kat! I tried Trevor's premix once, except that I forgot to take it out of the fridge before bedtime. Knowing what I know now about my French flours, that was probably a good thing. I've never done a four-hour autolyse, will be curious to see what happens! Carole, keep them coming. It’s fascinating reading. Really, and inspiring! Thanks for the kind words. The inspiration is here, with all of these knowledgeable and experienced bakers and just plain nice people. bread in the world and the easiest to make as well - a real two'fer All the bread looks grand for sure. Nice work. Well done and happy baking DW! 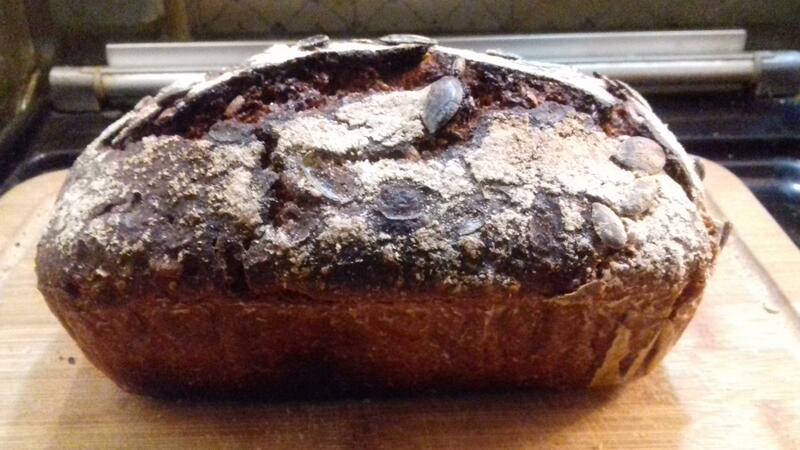 I'm very much enjoying the taste of the rye loaves. Had some for lunch with marinated fish, it was great. Wish I could be at your cinco de mayo bacchanal, it would be a hoot! That's a lot of oats! 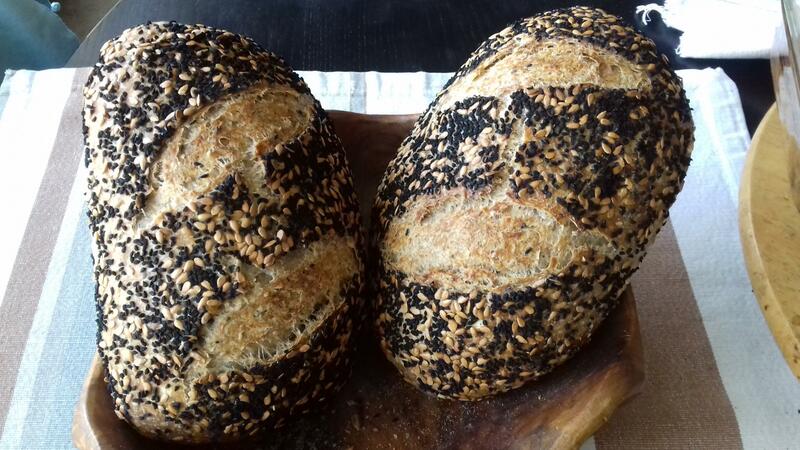 You love oat bread a lot, don't you? 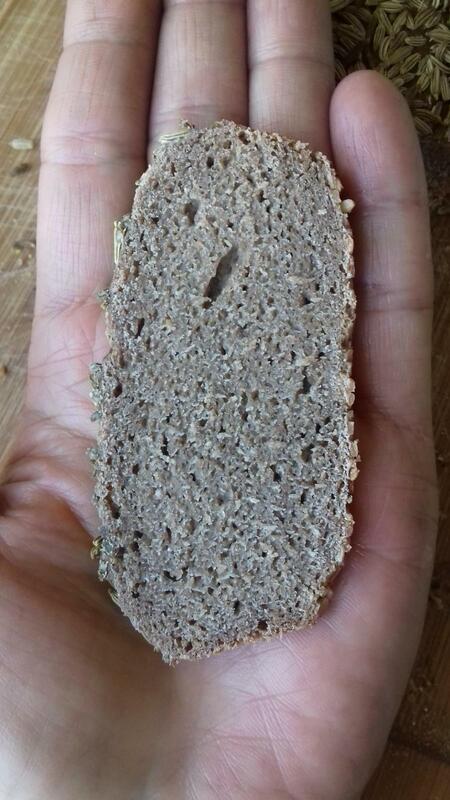 The crumb of that rye bread looks fine to me. It seems moist but not sticky or crumby. Nice bakes! Can you share your recipe of the yogurt cake? It looks scrumptious! May be i was a horse in another life! Actually, it's because I buy my oat flakes in 500g bags, and then feel like they take up too much room in the cupboard, so I go on a binge to reduce that volume of the bag. Dopey, I know. 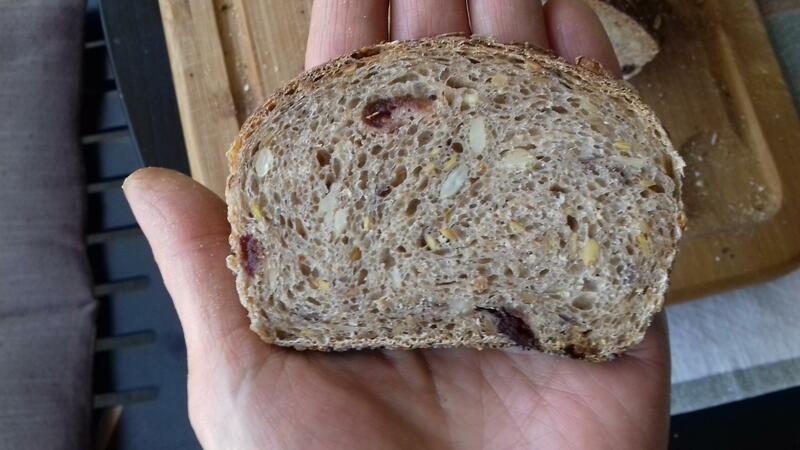 Thanks for the comment about the crumb in the first rye: it was neither sticky nor crumbly, just not very interesting. In that same original thread, Mini made a variation with chia seeds. I may try that. I'll happily post the yogurt cake recipe when I get to a proper keyboard 😊. Edit: the recipe is now posted here. When you go quiet you actually get more busy. Each one a gem. You've got such a great rise from the DNB. The DNB takes away the hands on which has left you to perfect the timing which you have nailed! Not as easy as it sounds. And you're left with such a great risen loaf it's almost circular. Don't forget that the DNB were baked in wooden "pans", an artifice I think I shall resort to whenever I feel like I can't build enough surface tension (in the loaf, not my nerves). But I am pleased with the way they opened. My timing is quite haphazard, though, I sort of look at it and give it a wee poke and decide what to do next. I love the DNB in midweek, especially now since I'm throwing in a soaker as well. What do you suppose would happen if the ww went from 20 to 30%? Might it ferment too quickly to ensure a 12-hour DNB? Looking forward to your next bake. Carole, with the DNB, how many grams of oats did you use and water? And when did you incorporate the oats? The bread looks fantastic. 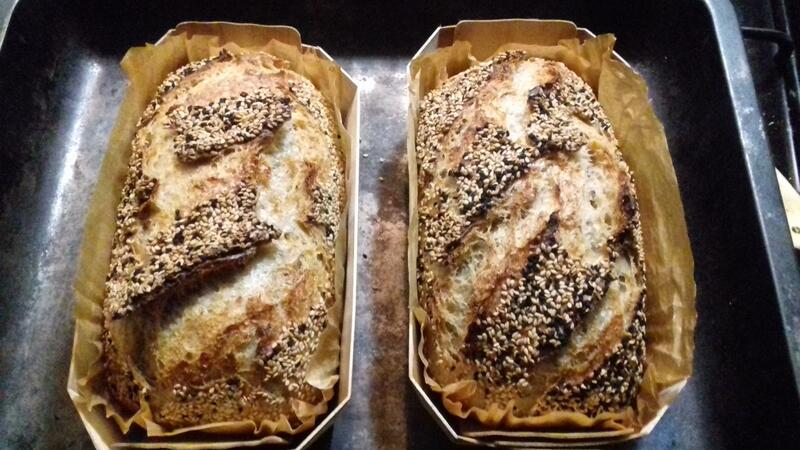 Your blog is like a class on bread baking adventures! Sorry, Sharon, I'm feeling a little giddy tonight. Now, to answer your question: 50g of rolled oats, 100g boiled water. For this bake. But I'm quite sure (or at least I found notes to that effect) that I tried it also at 40g oats to 60g boiling water. And I always toss in a handful of seeds. For the 500g of flour, I swapped in 20% whole wheat. I think I gave it one very cautious set of letter folds about three hours after mixing, just before going out for the day. It's still quite cool here, so that should be taken into account. After 10 hours, it was looking very proofy, but I didn't have time to preshape/rest/shape, so put the dough in the fridge for about 3.5/4 hours. Warning: dough is very slack and very tacky, bordering on sticky and shaping was a challenge, hence the pani-bois molds. And, no, there are other, far more talented, precise, and articulate bakers on TFL who are teachers of master classes! EDIT: Sorry, Sharon, just realized I didn't answer the second part of your question. I added the soaker at the same time I was mixing the dough, so it should be made in advance (like maybe when you make your levain) and allowed to cool. Carole, I admire all your bakes, because it gives me the confidence to one day go rogue and become adventurous like you! 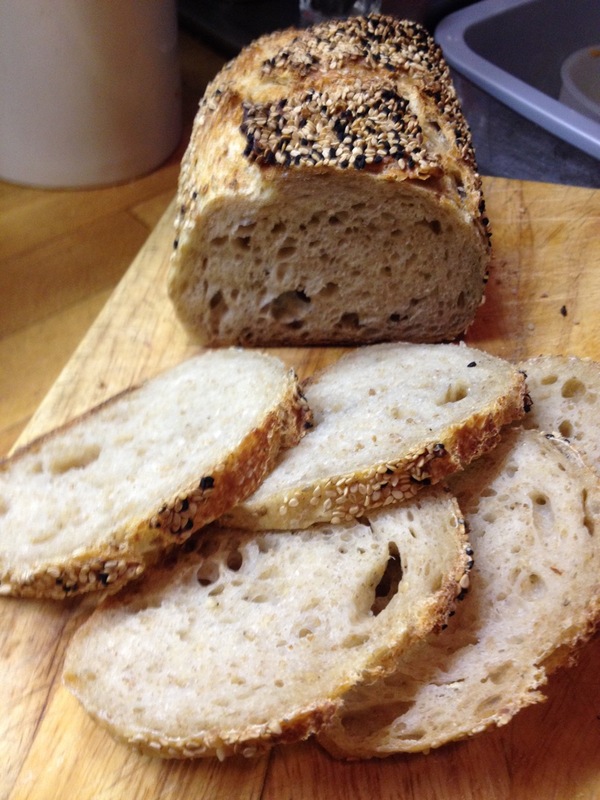 I will give your bread a go because I really like the oats in the bread. Very moist. Keep those bakes a comin....! It’s how we all learn - from each other and our own mishaps and risks! is usually nothing more than adapting to what flours, materials or time are available to me 😊. But thanks for the vote of confidence -- bolsters my confidence. How'd your hamelman loaf come out? Oh my, Carole, so many breads so little time! Thank you for several things...mostly for your evident enthusiasm for baking, it's encouraging following your bread baking exploits; and for being curious and bold enough to try whatever catches your attention and sharing it with the rest of us! Keep doing what you're doing, keep sharing the results, I will watch for your next blog post! that I go off half-cocked trying all kinds of things that may or may not work. Look at your fermented oat soaker, for instance -- all of a sudden, I'm adding a soaker to an overnight loaf and just letting the whole thing ferment. 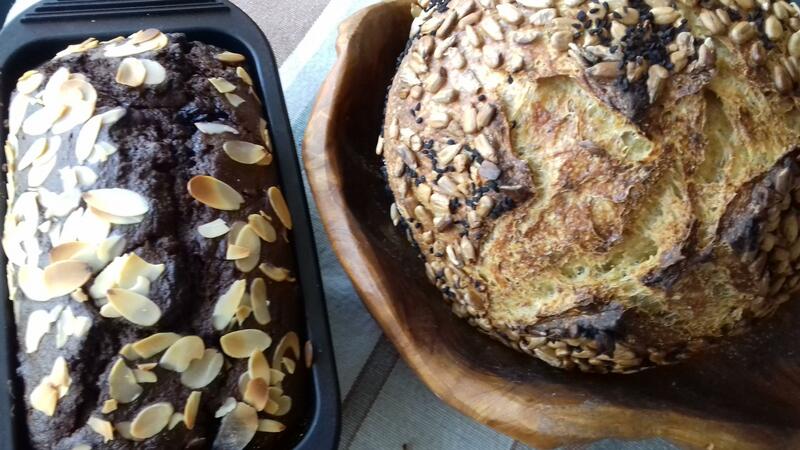 If anyone had told me a year ago, when I started on this journey, that bread-baking would become my secret garden, I'd have had my doubts. But that's exactly what has happened. It's my space, where the rest of the world just melts away, where all kinds of things can go wrong but nothing bad can happen. Too bad I can't retreat into it permanently. As you say, so many breads, so little time! I'll be watching for your posts, too. Your comment made me laugh because in the midst of all this baking I am starting my tomato seeds, another passion which I could be totally immersed in. So many tomatoes and so little time, just like so many breads to make and not enough time in the day! I ate a tomato worthy of the name must've been over 25 years ago, purchased at the weekly market in Gaillac from an old almost-toothless papy who just brought whatever he had in his garden. It was huge, ugly as all get-out, knobby, bright red and meaty. In Paris, regardless of the price or season, you get skin, seeds and water. So, I envy you your tomatoes, not to mention the garden! Wish I could send you some tommies! Here's the Hamelman 5 Grain: All in all - I'm happy with it! It's quickly becoming a family favorite. It looks perfect inside and out, as dab would say!